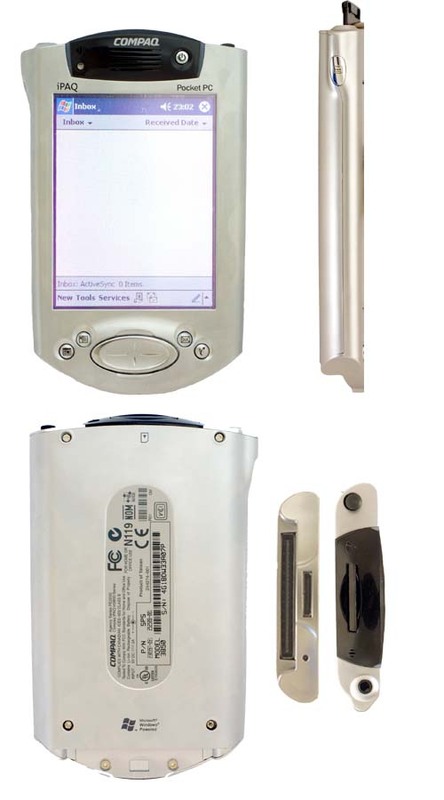 for sale, compaq ipaq pocket pc. the one in the picture is the 3800, the one im selling is the 3850. looks the same though. as new, screen in perfect condition. i just have no use for it anymore. i'll take offers. look around and decide how much for yourself you think it is worth. it comes with a cradle, protective hardcase and 64mb SD card. you can watch mp4 movies on it, but you'll need a bigger mem card.